PLAN 2500. 4/3/2 One Story. 2602 sq. ft. Artistic brickwork creates an attractive traditional elevation on this four bedroom stunner. Packed into the 2602 square feet are both a formal dining room and a cozy nook which opens to the covered patio, great for those backyard barbecues. The fireplace in the living room has niches on both sides for your entertainment equipment, perfect for a big screen TV and music center. PLAN 4336. 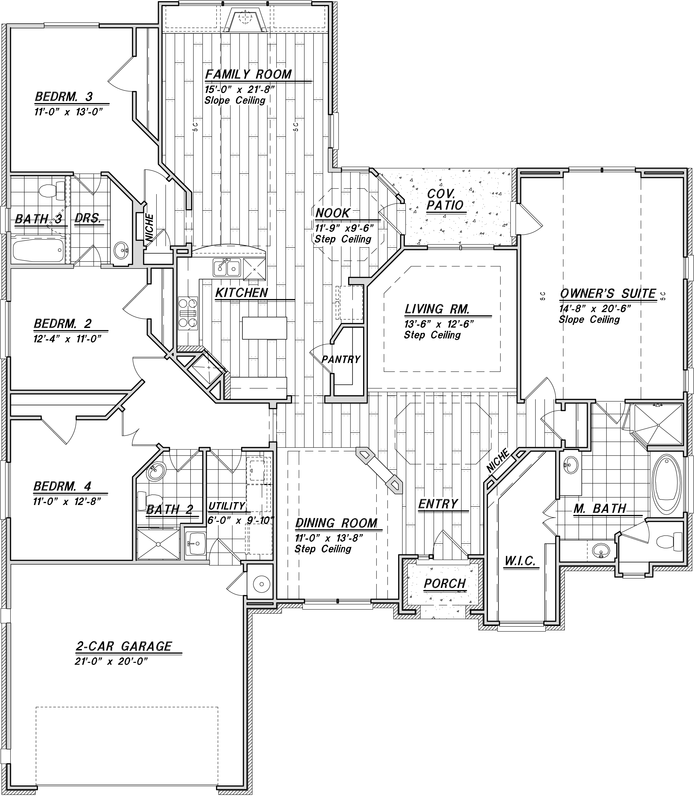 4/3 ½ /3 Two Story. 4336 sq. ft.
Let’s hope there’s a view. This beautiful estate home has a lot of windows! Bring your pool table and all your entertainment equipment — there’s a media room AND a gameroom. 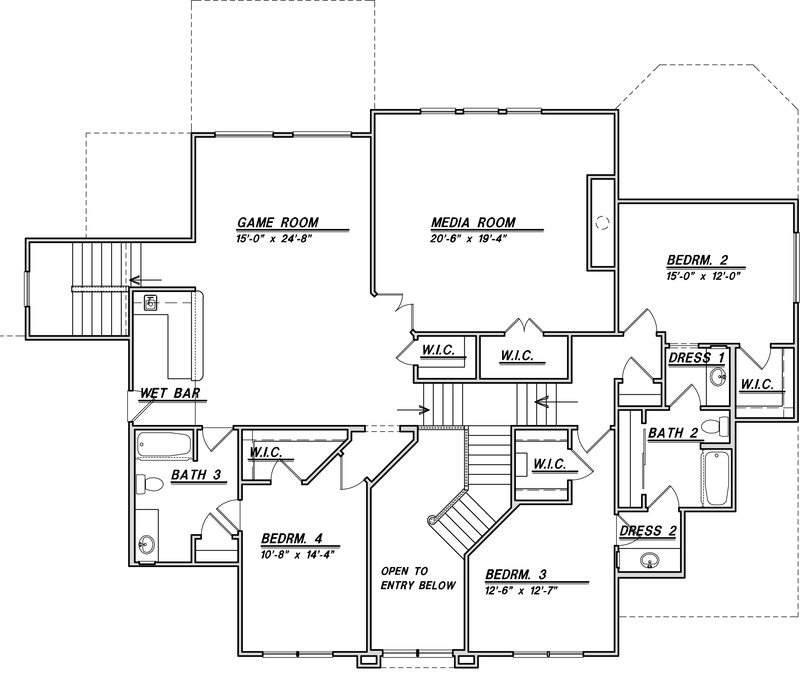 All secondary bedrooms are up, making the master suite a peaceful downstairs retreat. 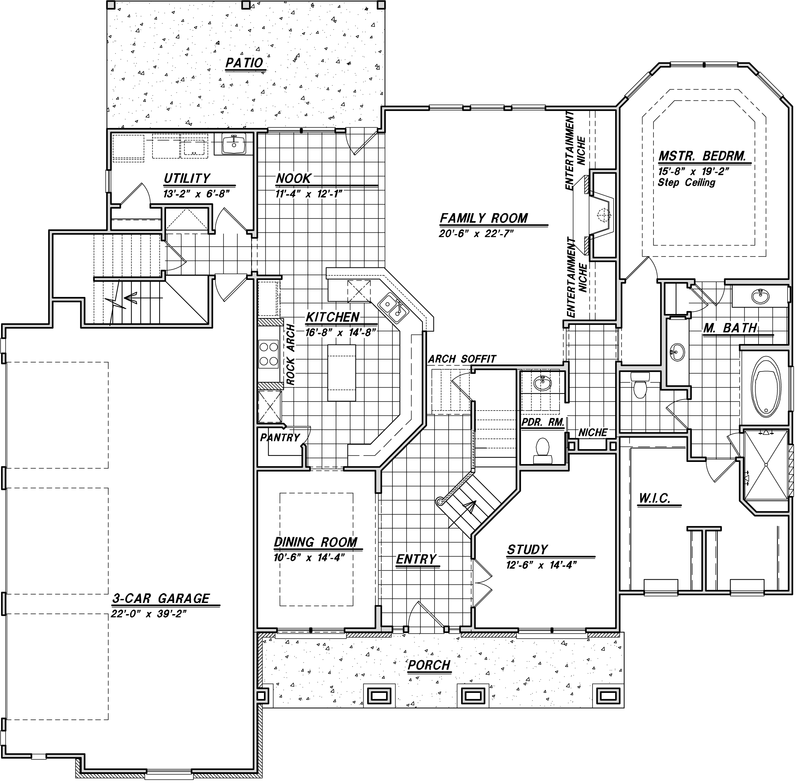 Celebrate in the large family room which is open to the island kitchen and breakfast nook. A convenient study is home-office ready near the entry and formal dining room.